This destination offers a multitude of small bays with white sands lined with flowers and palm trees. Montego Bay attracts revelers and gourmets. Ideal for a wedding in the south, a wedding on the beach. Honeymoons, holiday renewals and holidaymakers looking for culture, discovery, relaxation and vibrant nightlife. In the Tropic of Cancer, Jamaica enjoys a tropical climate. Emergency medical insurance highly recommended. Also have your passport valid 3 months after the date of return. If you are looking for a stress free, pleasant and entertaining atmosphere. You will find it in Negril. Ideal for a wedding in the south, a wedding on the beach. Honeymoons, holiday renewals and holidaymakers looking for culture, discovery, relaxation and vibrant nightlife. Ocho Rios and Runaway Bay are filled with interesting and different activities to do. This destination is stimulating, but quiet. Ideal for a wedding in the south, a wedding on the beach. Honeymoons, renewal of vows and luxury lovers. Jamaica has everything to please. Idyllic beaches, a welcoming community, moving music and excellent food. You are going, for sure, you are bored of this island. More practically, their famous and delicious chicken Jerk. 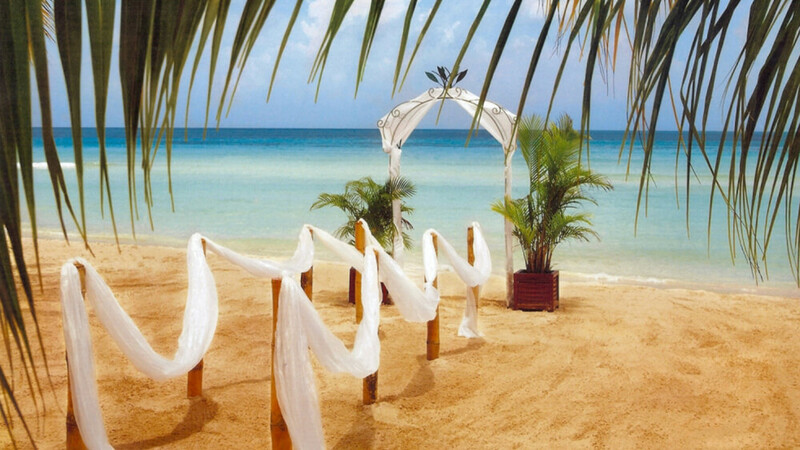 We offer turnkey service for destination weddings, from A to Z.Contact us now ! Tips in the south ?